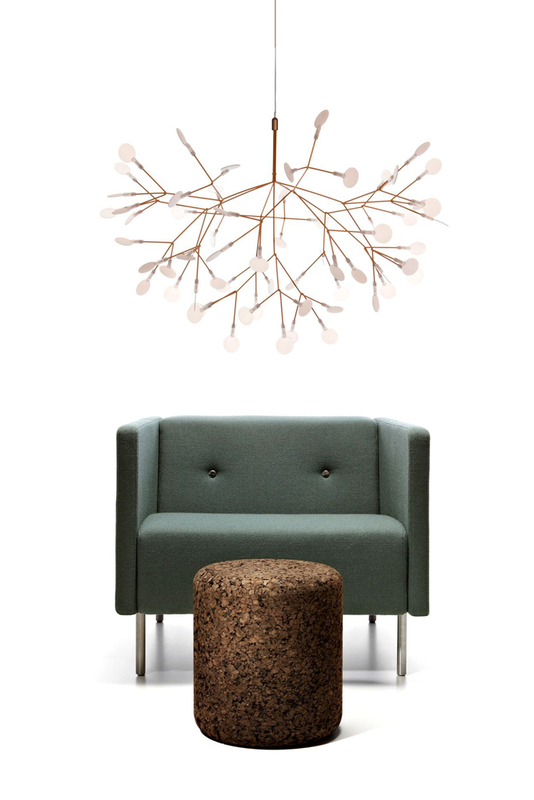 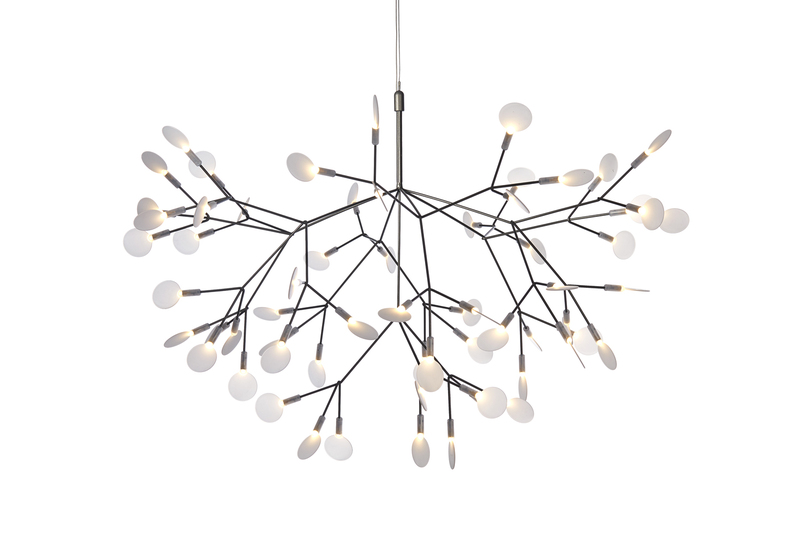 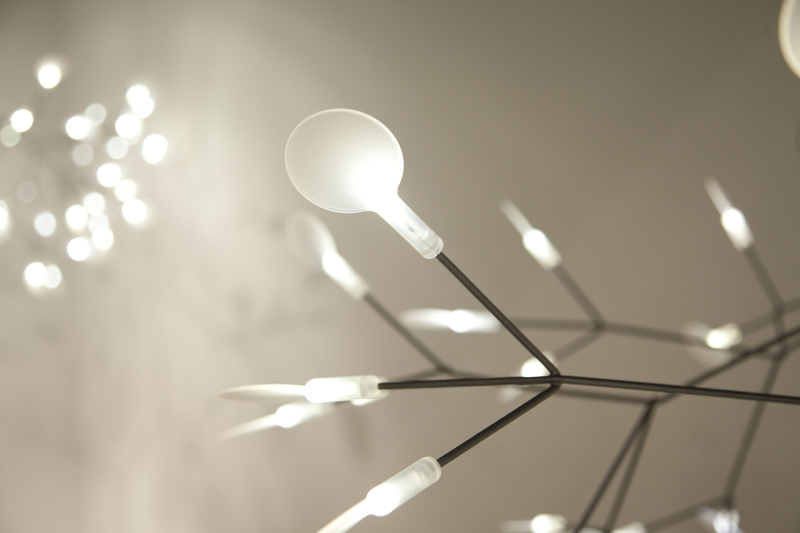 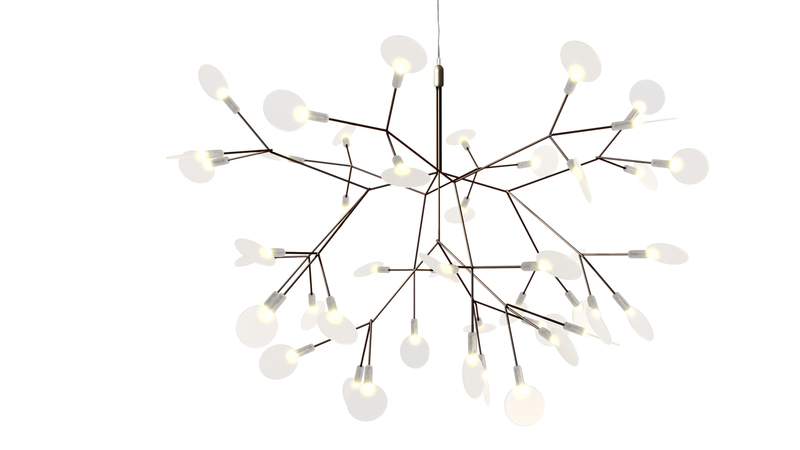 The Heracleum II pendant light by Moooi is a magnificent lamp that stems out to provide little blossoms of light. 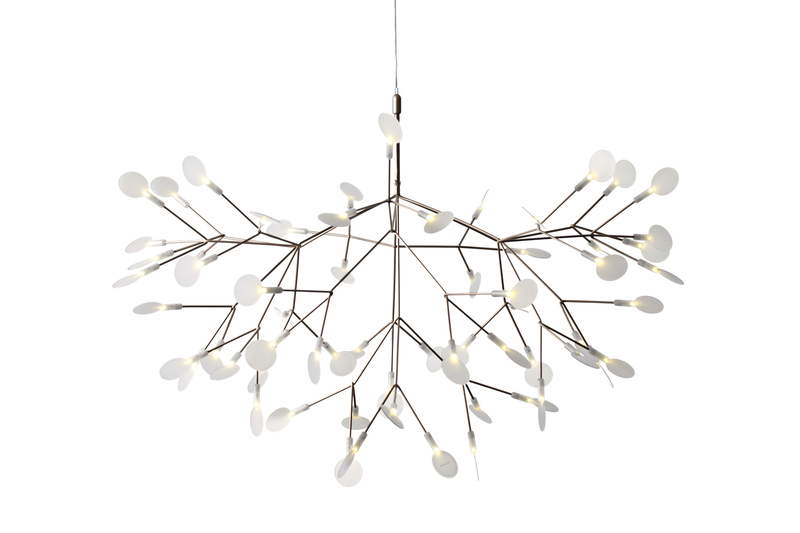 Available in a brass or nickel finish (with matching canopy) in two sizes, bring this nature inspired light to life by taking advantage of the freely rotating light leaves to alter the look. 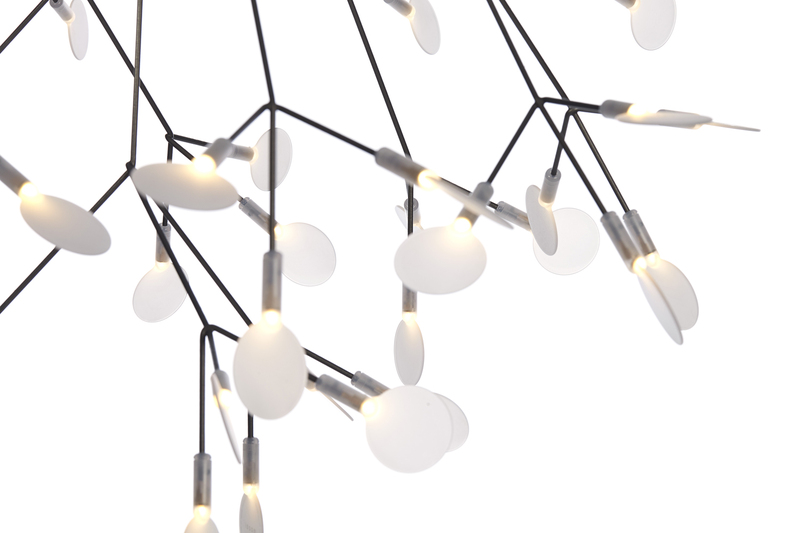 Heracleum II now includes a new LED that allows endless technical possibilities, making this new version much more efficient while providing unique and sparkling illumination. 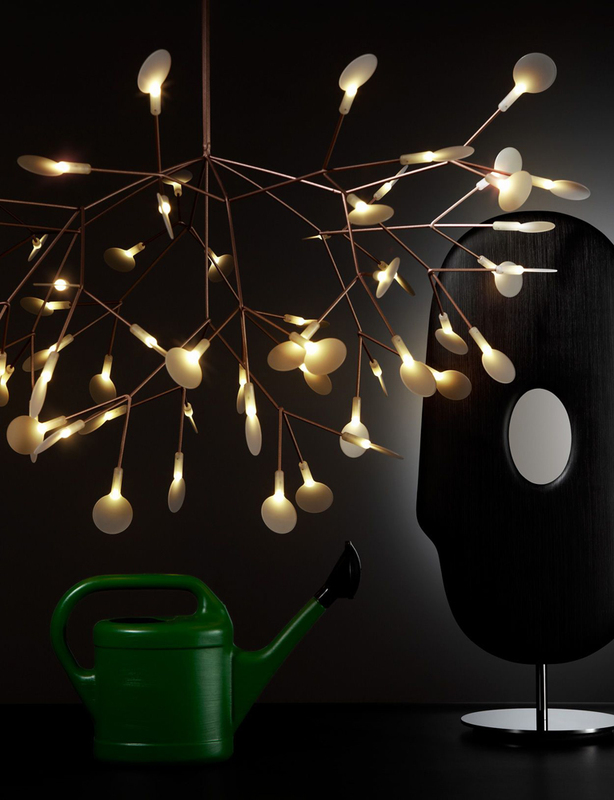 Mains dimmable. 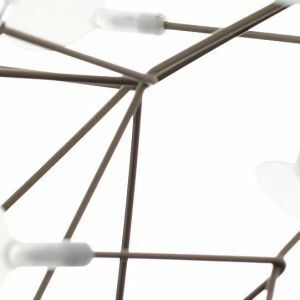 For more technical information on this product, click the links below. 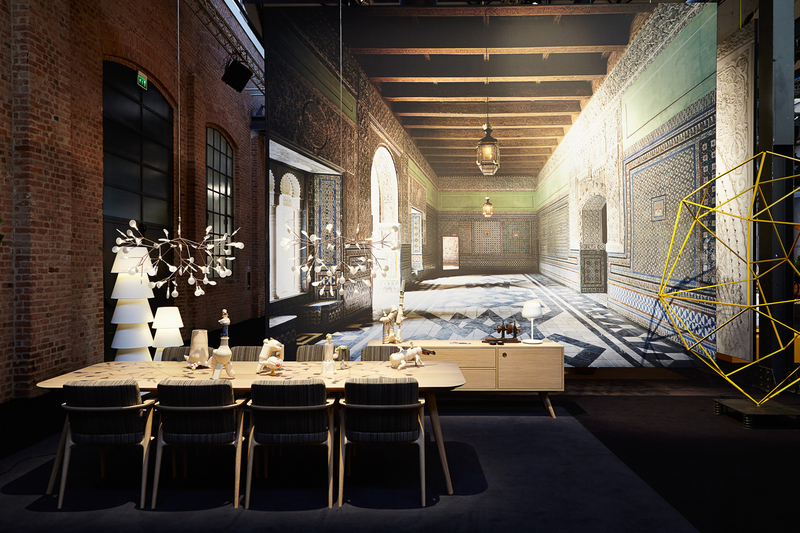 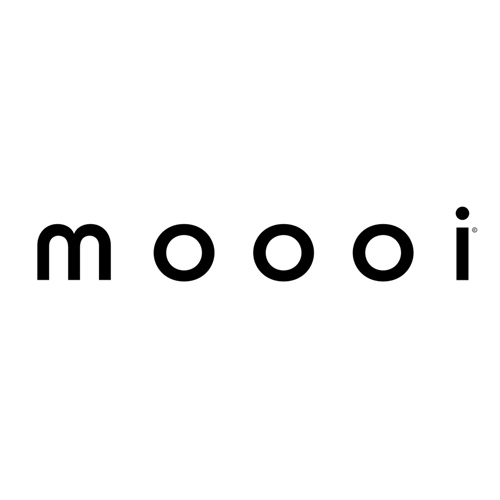 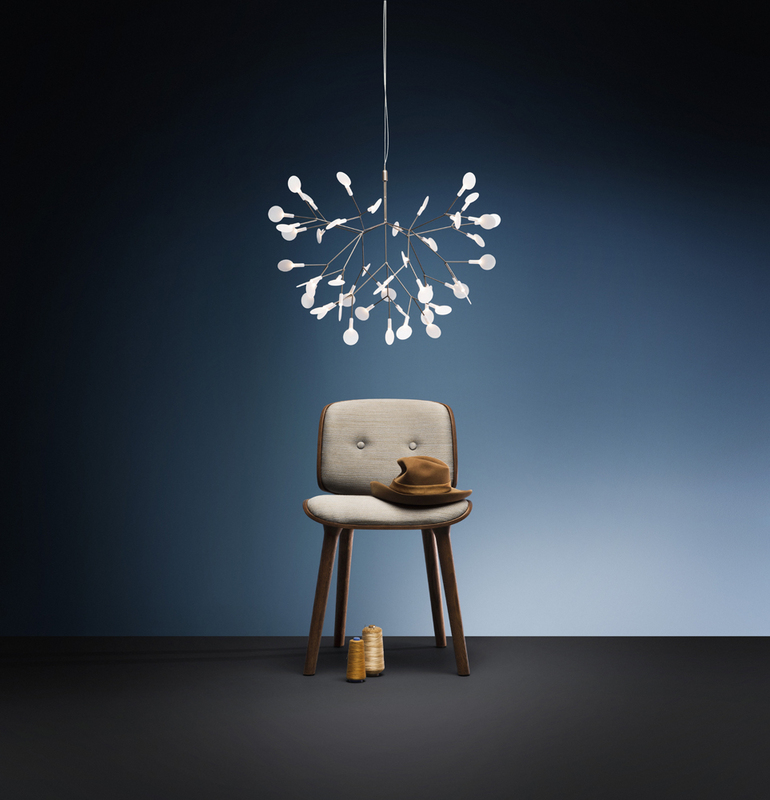 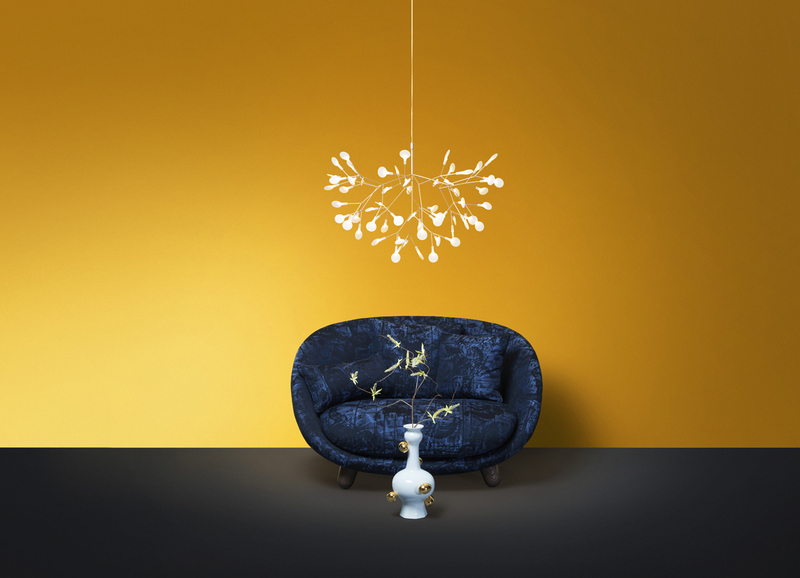 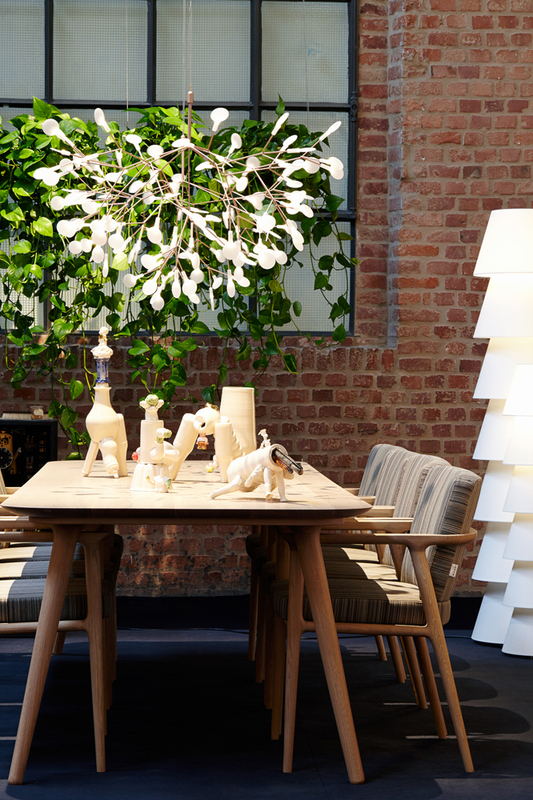 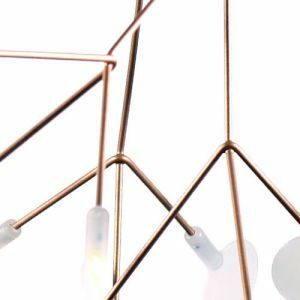 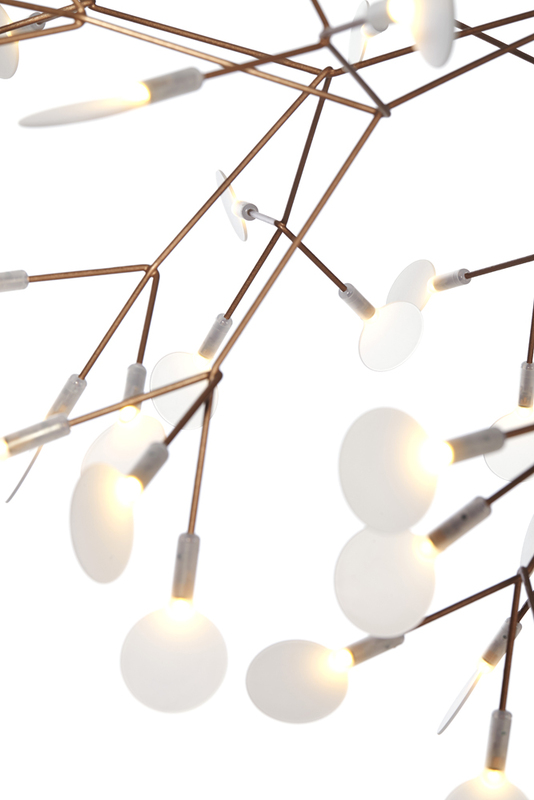 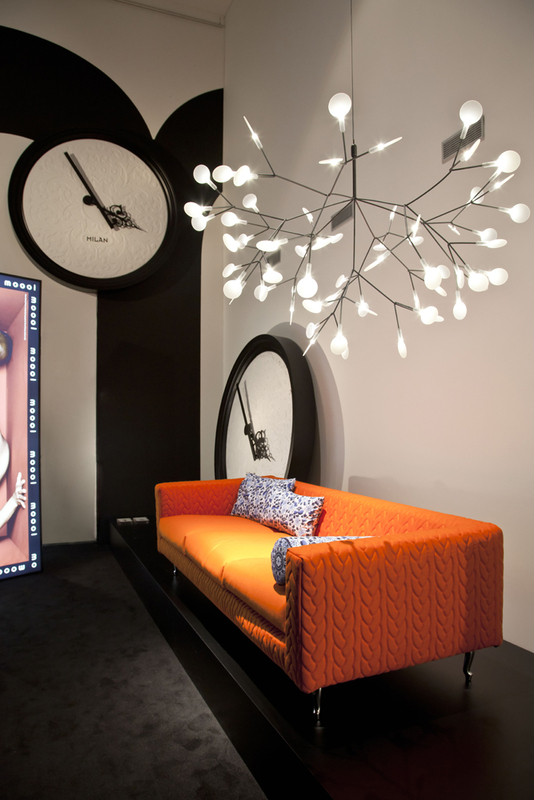 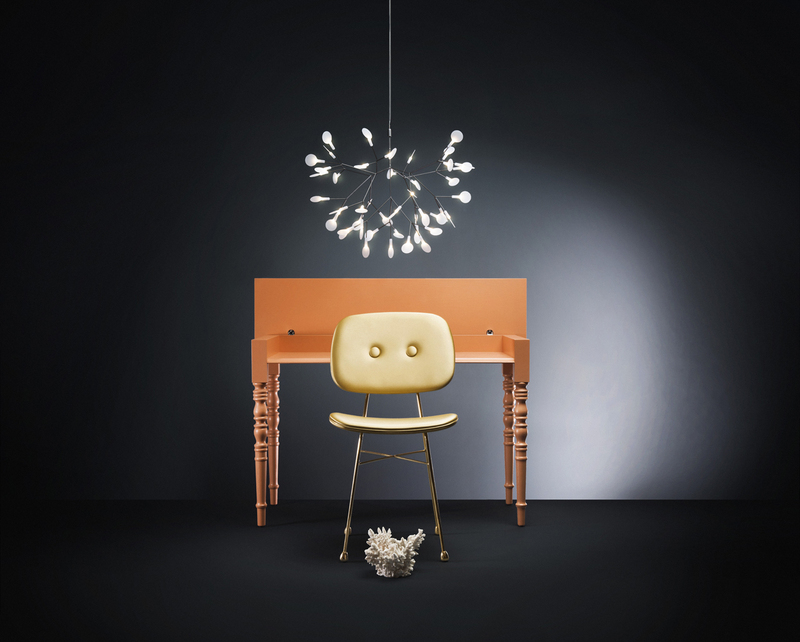 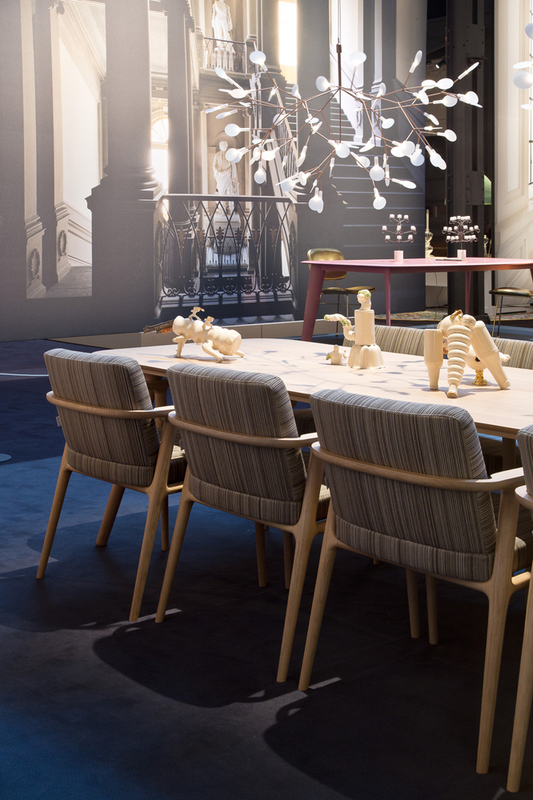 The Moooi light is beautiful and the order and delivery was seamless from Campbell Watson.